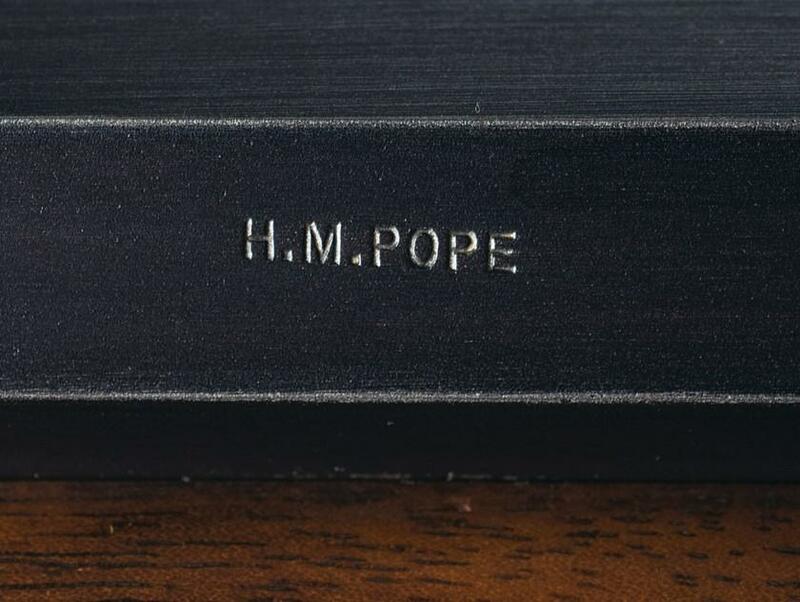 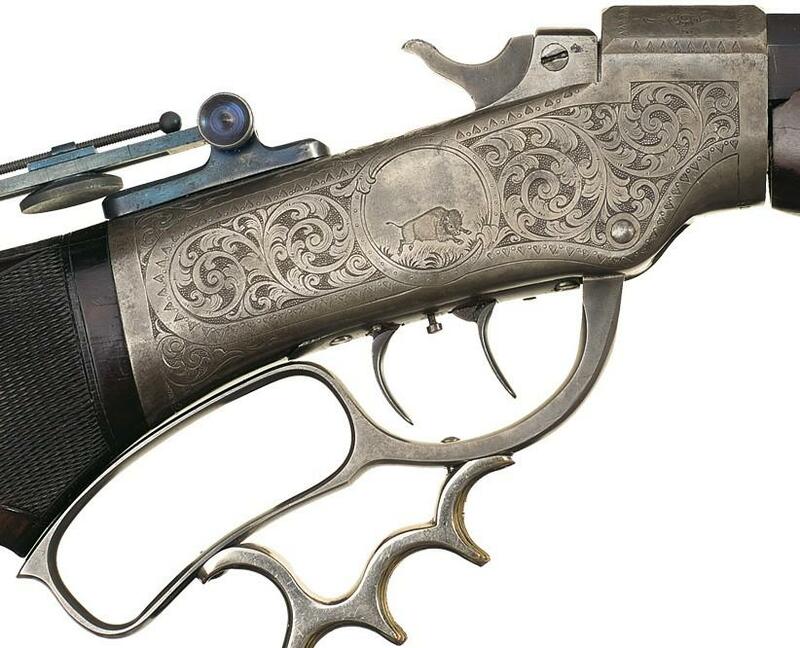 This custom engraved Pope Marlin Ballard rifle features a one third octagon barrel marked "H. M. Pope" on the left and right flats and "395, AE, small star mark," and "40" on the bottom flat, with a false muzzle numbered "395", brass bullet starter, and a spirit level windage front sight. 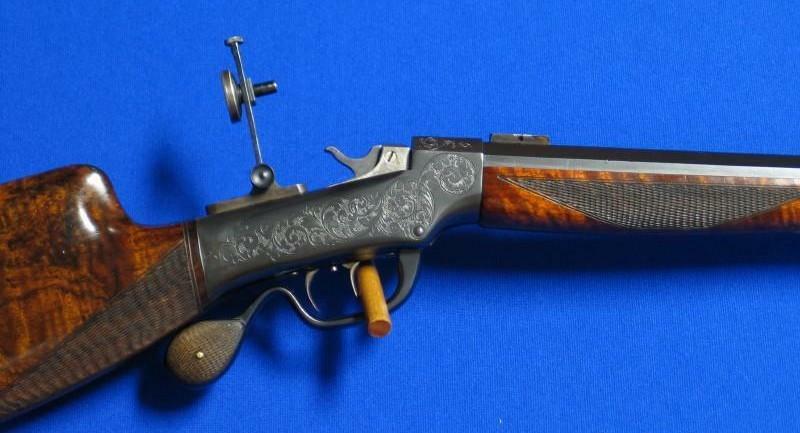 Equipped with a Lyman 5A scope mounted on target blocks. 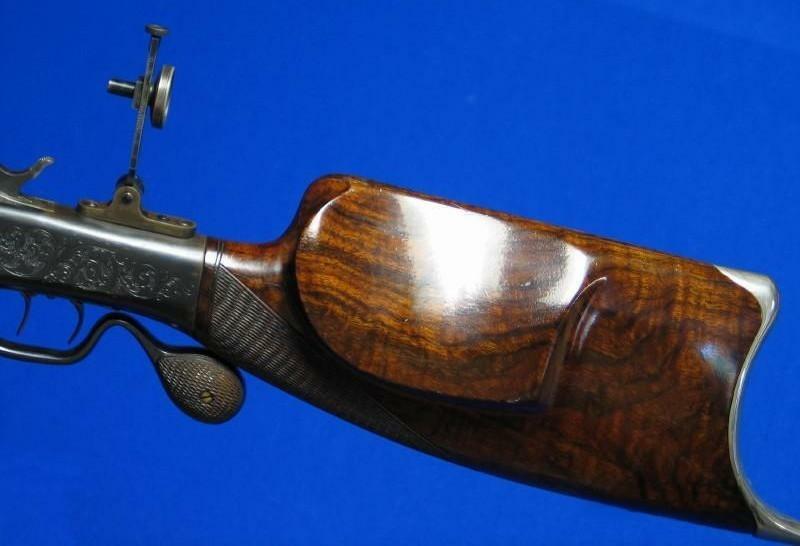 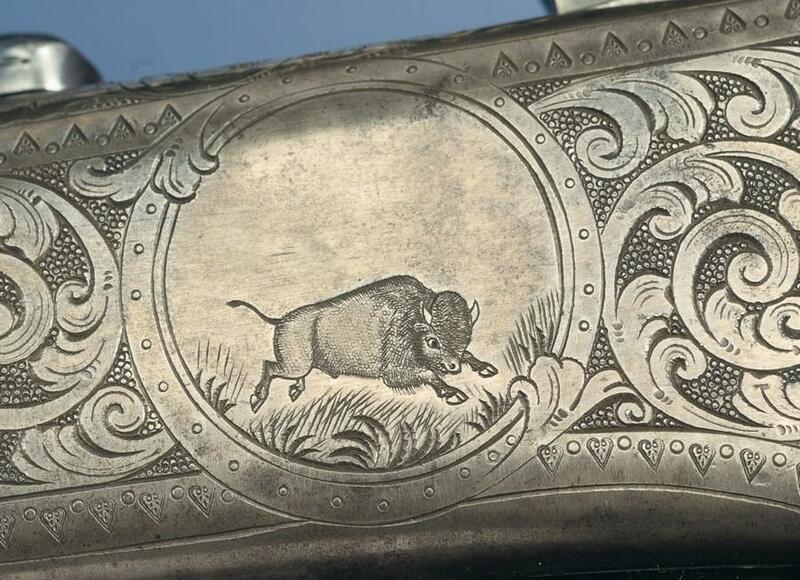 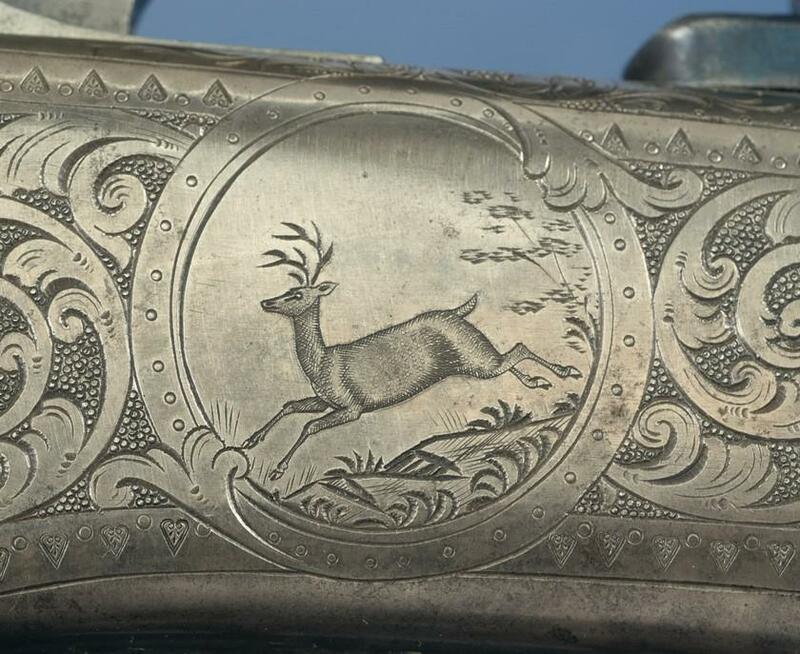 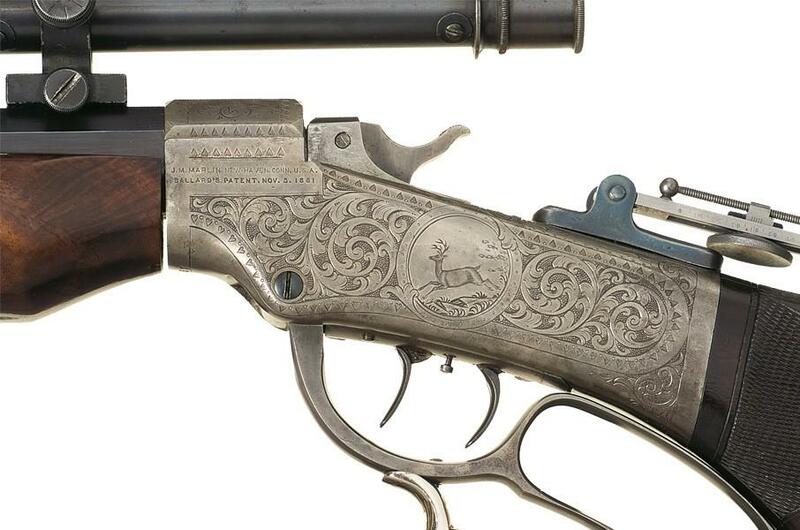 The left side of the #6 1/2 Rigby pistol grip action is marked with the two line Marlin address/Ballard's patent date, and engraved with a floral scroll pattern with punch dot background and a dot and heart shape border, running deer scene on the left and a running buffalo on the right. 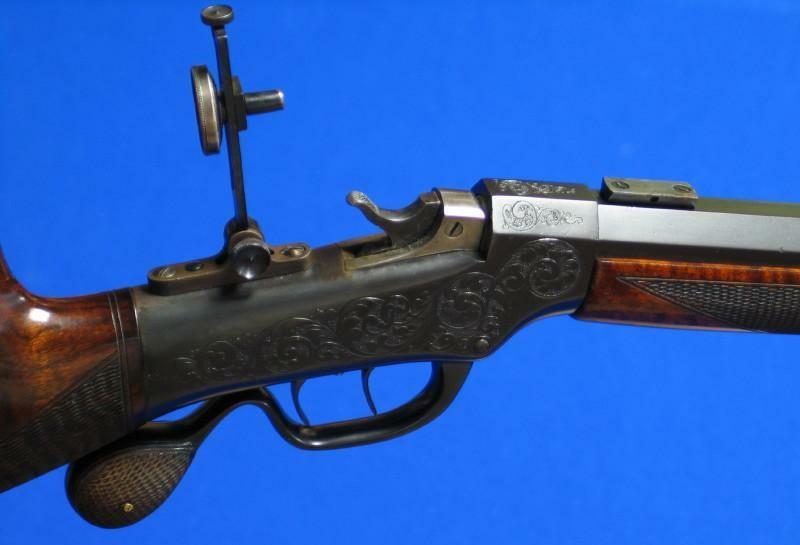 Mounted with a chequered Marlin pistol grip stock with a black walnut beavertail forearm and a Swiss style nickel plated brass buttplate. 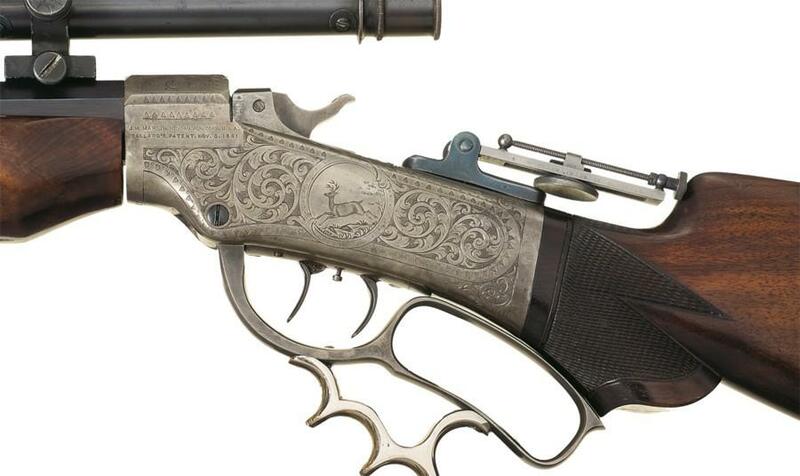 Pope Ballard 32-40 #4 weight bbl rifle. 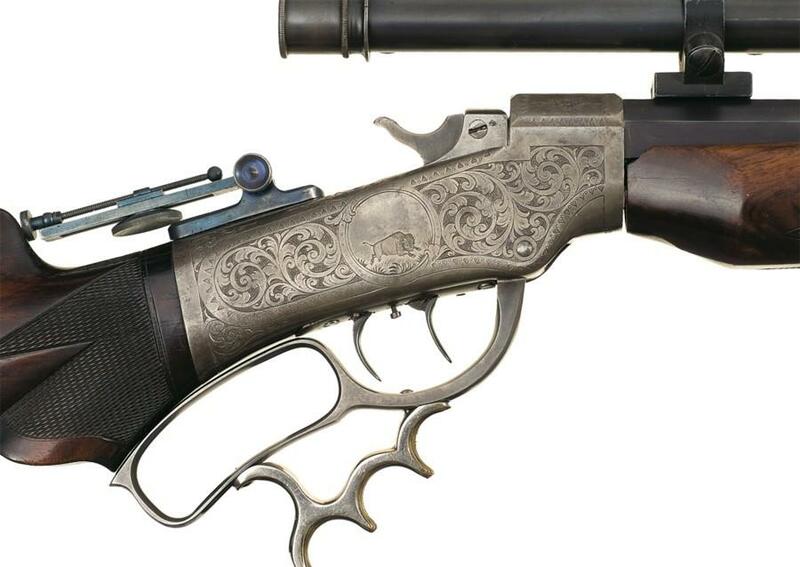 30" 1/2 Oct. Muzzle protector.